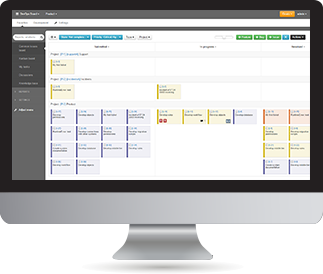 All-in-one solution combining help desk, task manage, exception monitoring, and kanban board. The main purpose of the service is to collect all elements of technical debt and features on one board for the general transparence and prioritization. DevOpsBoard is ready to use solution which holds and visualize exceptions, monitoring alerts and customers feedback related to your service on a single task board. Comments: Looks like I've found the replacement for my current Kanban board tool. Exactly what I've been looking for: features, issues, bugs as first-class citizens. Best practices out-of-the box - you can start right away with the default process and then customize it if needed. Looking forward to try-out exception handling, integration with monitoring and CI tools. Comments: I just gave it a try and it fully satisfied me. We looked for such combined solution for some time and tried different ones for our team. Every time we experienced some glitches. Looks like finally we have found what we want. Check it out!